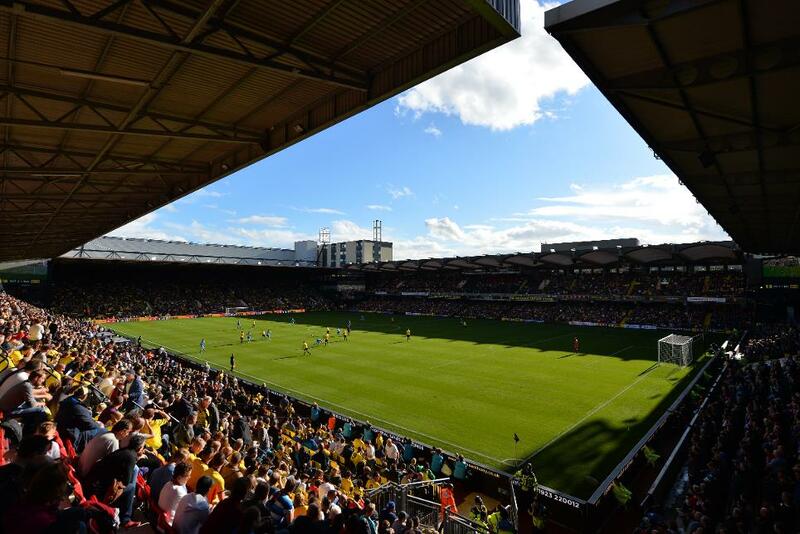 Watford have made a statement today about their commitment to improving the accessibility of their Vicarage Road stadium for disabled supporters. This is in relation to the Premier League's commitment to improving access for the disabled at stadiums. The statement reads: "Watford FC recognises its commitment to the continual improvement of accessibility at its Vicarage Road Stadium home. "In simple terms, this means making reasonable adjustments to existing structures to deliver new facilities and the incorporation of appropriate provision in any stadium development planning. "The club’s consultative relationship with independent disabled supporters group WFC Enables, chaired by experienced equality campaigner David Butler, is both healthy and challenging. It provides a point of reference for all proposed works and planning in order to better serve Watford fans with a disability. "We’re now at a point where all known demand from disabled supporters has been met"
"As a top-flight club since summer 2015, the Hornets are part of the Premier League’s commitment to meeting the ASG (Accessibility Stadia Guidelines) by August 2017. For its 21,000-capacity stadium, this requires the provision of 153 wheelchair spaces and 153 ambulant / easy access spaces, 75 per cent of both should be in an elevated position. 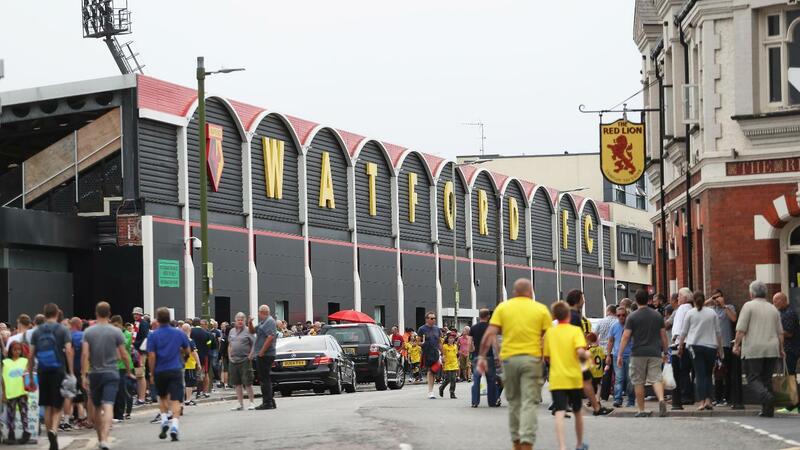 "During this time, Watford FC has been engaged in a programme of planning, ameliorative works and other reasonable adjustments to the stadium to increase provision for its own disabled fans and those of the visiting club. "By August 2017, there will be over 50 per cent more wheelchair spaces – 92 compared to the current 61 – than are currently available. "In addition, the provision of ambulant / easy access seats will increase from its current 124 to 173 spaces, an increase of nearly 30 per cent. "In both cases, 75 per cent of the provision will be in elevated positions. "And before that, a state-of-the-art Sensory Room – with bespoke furnishings funded by the Premier League Charitable Fund in association with the Lord’s Taverners, The Shippey Campaign and BT Sport – will open during December 2016, allowing children from the club’s season ticket holding ranks and young people from specialised local schools to enjoy matchday within a comfortable environment. "The difference between the 92 wheelchair spaces present by summer 2017 and the 153 required by the ASG will be addressed via planned stadium development works due." Hornets' CEO Scott Duxbury says: "We are committed to doing the best we can for all supporters visiting Vicarage Road. Maximising the positive impact derived from changes made within the constraints of our current infrastructure has been our key focus. "By doing that, it means we’re now at a point where all known demand from disabled supporters has been met." He added: “The addition of a fully-equipped Sensory Room is an added extra which will make a real difference to local children with particular care requirements. David Butler, Chairman of WFC Enables, said: "Whilst the Accessible Stadia Guideline requirements are calculated by reference to the capacity of the stadium, my Enables group have been adamant that the unquestionable aspiration should be that of meeting the actual demand from disabled supporters, both now and in the future. "To that end, Watford Football Club have committed to a minimum of 92 wheelchair places by summer 2017, which will satisfy current demand plus a healthy 30% reserve capacity for the future, while the club will also meet demand for ambulant and easy access spaces. "We are delighted that the recent extensive work carried out has satisfied the current demand"
He added: "It should be recognised that every time a wheelchair space is added with an assistant seated alongside, dependent upon the rake of the tiers, between nine and 12 seats have to be removed, plus additional removals for the provision of access ramps to 75% of the places that need to be in an elevated position. "The extra 61 wheelchair spaces required under the Guidelines could reduce the overall stadium capacity, that is now fully sold out for every match, by 4%. "If these additional spaces were to be provided, 700 able-bodied supporters would be displaced from cherished seats that they may have occupied for many years. If these supporters subsequently see that these positions are not appropriately occupied due to lack of demand, they will be at best disgruntled and at worst antagonistic. "We believe it is quite unnecessary to create a potentially negative attitudinal change towards our disabled members. "We are delighted that the recent extensive work carried out has satisfied the current demand and agreement reached on future changes. The club has therefore met our stated objective and Enables are fully supportive and appreciative of the club’s efforts. "Enables will continue its endeavours to encourage more disabled fans to experience enjoyable visits to Vicarage Road."